Raymond Richard Cassatt, age 81, of Centerville, Iowa, passed away Sunday, September 2, 2018 while on a trip to Knoxville, Tennessee. Ray was born on July 4, 1937 on a farm near Moulton, Iowa, the son of Fern and Pearl (Peek) Cassatt. He was married to Joan Kennelly in 1956. To this union, four children were born, Stephen, Theresa, Ronald, and Mark. They later divorced. He then married Delores Holt in 1964. To this union, one child was born, Rebecca. They also later divorced. Ray was united in marriage to Jane Klum in 1981. She was with him on vacation when he passed away. After retiring from the United States Navy, Ray returned to the Centerville area to help his aging parents. 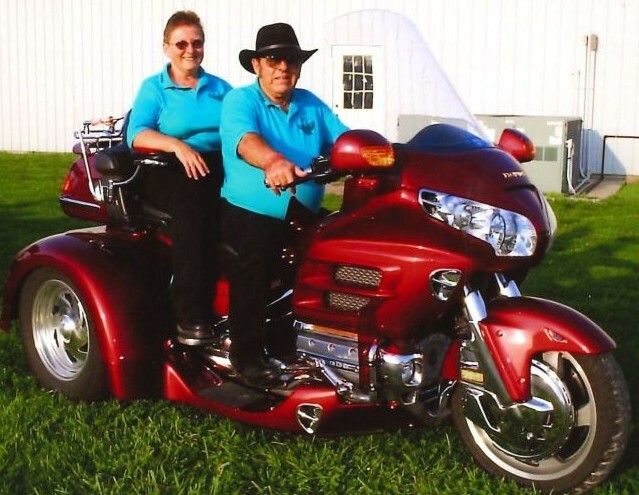 He began an appliance and small engine repair business that his wife Jane also helped with. He later worked for True Value in Centerville. Left to honor Ray’s memory are his wife, Jane; his children, Terri (Russell) Roe, Becky Raucci, and Steve Cassatt; six grandchildren and multiple great grandchildren; nieces, Dianna Shinn and Tina Mays. Also surviving are Kathy (Lawrence) Labertew, Michael Labertew, Kimberly Labertew, Dylan Zierke, Nancy Klum, Kelli (Rick) Waybill and their daughter, Mickie (Zack) James, and James (Amber) Klum and their children, Gage Ritz, Kiera Klum, Kasen Klum. Ray was preceded in death by his parents, Fern and Pearl Cassatt; his in-laws, Mary and Ned Klum; two sisters, Martha (Earl) Hainline and Gertrude (Bob) Woods; three brothers, Jim (Pauline) Cassatt, Onley (Luanne) Cassatt, and Jake Cassatt; his sons, Mark Cassatt and Ronnie Cassatt; and a grandson, Michael Cassatt. Others preceding him were, Lisa Zierke and Robert Klum. A Celebration of Life service will be held at 4:00PM, Friday, September 14, 2018 at Lange Funeral Home and Crematory in Centerville with Rev. Jerry Weller officiating. A visitation will take place, Thursday, September 13, 2018 at Lange Funeral Home in Centerville with the family greeting friends from 6:00-8:00PM. A memorial has been established to the Family of Raymond Cassatt, and may be mailed to Lange Funeral Home and Crematory, 1900 South 18th Street, Centerville, Iowa 52544. Condolences may be shared online at www.langefh.com.